2 What is a Pellet? 7 Do You Need Electricity to Run a Pellet Stove? If you’re looking for a new heater for your home that will be cost-effective, you should read through the pellet stove reviews. These heaters are furnace style fuel burners and they use wood pellets that are sold especially for these kinds of heaters. They are easy to use and come in a variety of styles and designs to allow you to choose one that will look good in your home. 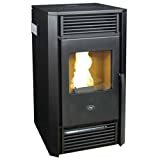 Pellet stoves are quite different from any other stove or heater that you may have used in the past, so if you are not yet familiar with pellet stoves, you should read on to find out why so many people around the world choose pellet stoves to heat their homes. 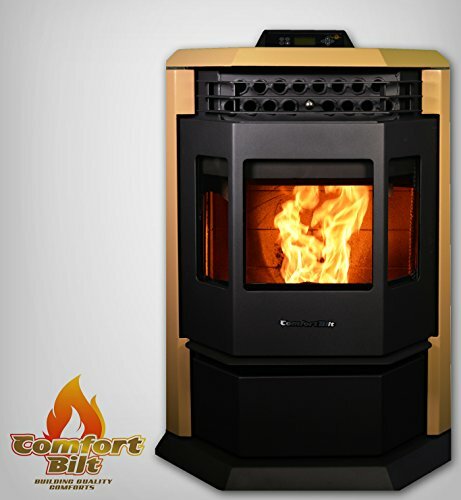 We have provided you with a useful buying guide to help you to remember all of the things to consider when purchasing one so that you can find the best pellet stove for your family. This attractive pellet stove will be sure to fit perfectly into your home thanks to the design and finish and it has the ability to turn a plain and simple living room into an impressive and modern living space. Whilst the Comfortbilt Pellet Stove HP22 looks great, it also offers you excellent quality and value for money. It is certainly built to last and will provide you with years of reliable use. As this is a powerful pellet stove, running at 50,000 BTU heat output, you can be sure that it will effectively heat a home of around 2500 square feet with no problem, even if it is very cold outside. Another thing that is great about this pellet stove is the way that it operates. It is so quiet that you can barely hear that it is on, which is great news if you like to enjoy peace and quiet. When reading, sleeping or simply socializing at home, you’ll not be disturbed by any unwanted noises coming from this heater. This pellet stove is easy to use and the heat setting can be altered to suit your needs. The glass door does not become fogged or dirty and you can be sure that the hopper will hold enough pellets to last for several days before you need to replenish the supply. If you are limited on space, then this space saving pellet stove will surprise you as it has a smaller profile, whilst still being able to provide you with an impressive amount of heat. As this pellet stove is smaller than some alternative models, it does have a slightly smaller hopper capacity, which means you’ll get up to 20 hours burn time before you need to replenish the pellet supply. An air wash glass viewing window ensures that you’ll be required to do a minimal cleaning, as the window is completely self-cleaning. The entire look of this pellet stove gives a modern look yet traditional feel, making it a perfect addition to any home. You should note that this pellet stove does not come with everything that you need to install it, so you should ensure that you purchase the installation accessories at the same time that you buy the stove to be sure that it can be fitted as soon as possible. Although this stove has a lower hopper capacity than some other pellet stoves, you will be impressed by the amount of heat that is produced. Even on a low setting, this pellet stove will still deliver plenty of heat, keeping you comfortable and warm throughout the colder months. The Castle 12327 is a convenient and effective solution when you’re looking for a pellet stove that is capable of heating an entire level in your home if you do not have too much space. It is also a great heater for particularly large living spaces. You will be able to keep this pellet stove clean with as little effort as possible thanks to the ash pan that is easy to remove. It will take around 5 minutes of daily cleaning for each day that you use the stove in order to keep it in the best working order. If you leave this heater on all day using the medium heat setting, you can expect to use a 40lb bag of pellets per day, which is an economical way of keeping your home clean. You won’t need to worry about any combustible fuels such as propane when you choose this heater either as it runs on pellets alone. The striking appearance of this hearth cabinet style pellet stove is sure to make a great impression on anyone who enters your home. 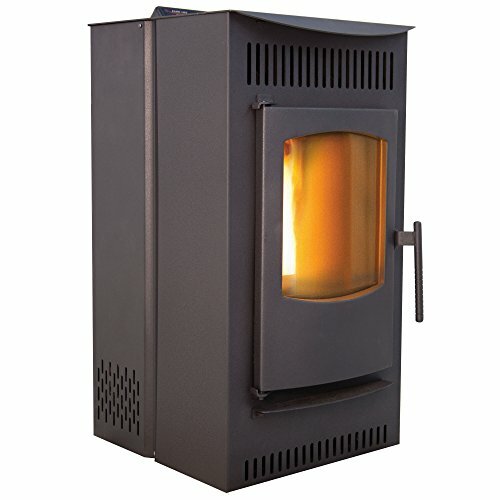 Not only does it look good however, but this little heater can produce a powerful amount of heat – enough to heat 2200 square feet, which is great for homes with larger rooms or you could even leave the internal doors open in your home so that other rooms can be warmed up with the heat from this stove. With a 120lb hopper capacity, this stove will be able to burn for around 24 to 70 hours before you need to replenish the pellets, which offers convenience and it is easy to operate and clean out. There is an auto-ignition system to make starting the pellet stove as simple as possible. 5 different heat settings offer you a completely customizable experience and it even comes with a comfort control system to ensure that the temperature in the room remains comfortable instead of becoming too hot. Ceramic construction of the cabinet gives a traditional look to this pellet stove and the glass door at the front ensures that you will be able to see the flames dance as the pellets burn, giving a homely look. If you don’t want to have to replace the pellets in your pellet stove too frequently, then the BOSCA BCPS500BL Spirit 500 Pellet Stove can offer up to 53 hours of burn time before you need to replenish the pellet supply. The hopper capacity means that it is capable of holding around 60-70lb of pellets at a time. 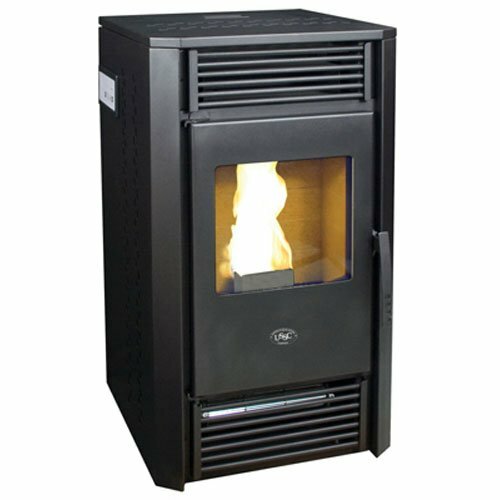 This is a sturdy and heavy-duty pellet stove that can provide you with years of reliable operation. The cabinet is made of high-quality ceramic, which is easy to clean and resistant to heat. There is also a viewing window in the front that’s made of glass so that you can see the flames dance. The heat is evenly dispersed throughout your home thanks to the integrated fan. 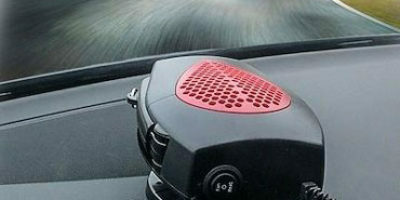 The fan has 2 different speed settings so that you can choose how gentle or forceful you want the heating effect to be. 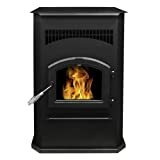 It should be noted that due to a slowed production of this particular model, it can be difficult to get parts for this pellet stove, so it is a good idea to find a professional who is able to service and repair this particular stove before you commit to buying it. 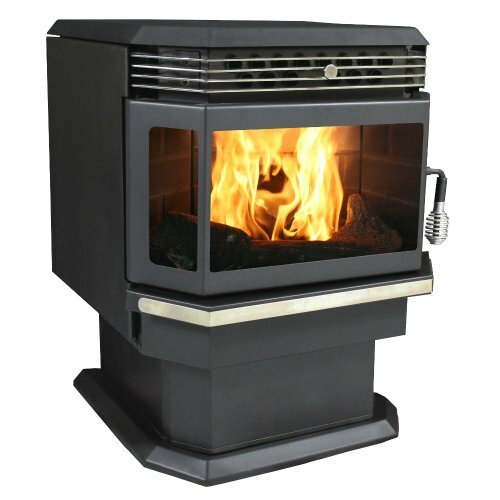 This is a pellet stove that has a really attractive look about it. It also comes with plenty of customizable features so that you can enjoy a comfortable experience when you use this heater. 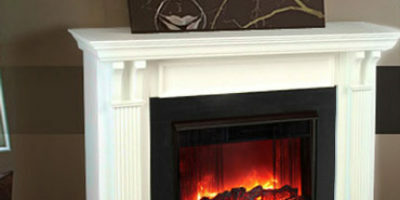 It should be noted that this pellet stove only allows you to directly vent the air from the heater and for this reason, it may be a good idea to add some vertical ventilation before diverting the duct to the outside of your home so that there is less chance of any problems if there is a power outage. There are 6 different heat settings integrated into this stove so you can choose the amount of heat that you need. If you use a heat setting of around 4 or more, you will find that so much heat is produced that it becomes uncomfortable to be in the same room as the stove. This is a great way of ensuring that your entire home can warm up, though. Emptying the ash pan daily is necessary to keep the stove in as good a condition as possible, but it is a simple and fast process, which will take you just a minute or two to complete. You should expect to use between 20 and 40lb of pellets a day using this stove depending on the heat setting that you choose for it. A pellet is a fuel type that is created by compressing biomass. They are usually made of wood, but you can also find ones that are made from agricultural waste, food waste, crops, and lumber. Wood pellets are made from waste sawdust that is usually collected as an industrial byproduct. Manufacturing processes for furniture and other wood products are the best places to collect sawdust from, but other natural matter that can be used including coconut shells, and the ends of branches that are discarded from the logging process. The sawdust is compressed tightly to form a pellet shape. As pellets are small and are a uniform size and shape, they are perfect for being precisely fed into a burner or an auger. The compressed properties of the fuel also mean that pellets are relatively dense and as such, they are compact to store and to move from one location to another. Their small size allows them to be easily blown en masse to a storage silo or similar from a large vehicle such as a tanker. Pellets are the pieces of fuel that are needed to generate the heat in a pellet burning stove. The pellets are fed into a hopper and different stoves can hold different amounts of pellets at one time. Pellet stoves may look simple when they are installed in your home, but they actually have a complex method of operation to ensure that you can control the heat and the rate at which pellets are burned. A hopper is filled with pellets. The pellets will be slowly taken from the hopper until the supply needs to be replenished. An auger is connected to the hopper and feeds pellets slowly from the hopper to the combustion chamber. If you choose a stove that has a thermostat, the feed rate will determine how hot the fire burns. Slower auger speeds will deliver pellets more slowly, giving a more gentle heat, whereas a faster auger speed will mean that the fire can become hotter. The combustion chamber contains a fire pot or a burner ring and this is where the auger delivers the pellets. Air is blown into the combustion chamber to maintain the flame. Whilst some pellet stoves have a self-igniting flame, there are many that also have a manual ignition. The heat exchanger is connected to the combustion chamber. Air from the room is blown over the heat exchanger and convection current sends hot air through the heat exchanger. The air is then returned to the room but is heated. There are a number of great benefits to be enjoyed when you choose a pellet burning stove over any other fuel-burning appliance. Lower your carbon footprint – Burning pellets produces far fewer carbon emissions in comparison to other fuels including oil, logs, and gas. Effective – Whilst some people claim that fossil fuel heaters are the warmest, in the actual face, pellets can produce just as much heat as their fossil fuel burning counterparts. Steady Prices – Wood pellets are cheap to buy and the great thing is that unlike all other fuel types, they do not experience dramatic price fluctuations throughout the year. 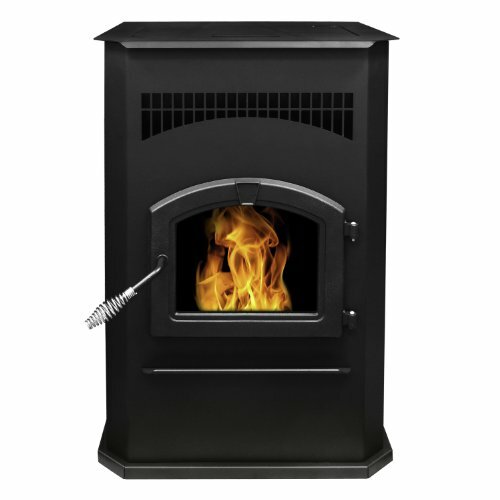 With more stable prices, it is easier to plan for the costs of having a pellet stove. They are also widely available across the country, so getting hold of pellets, even in an emergency isn’t difficult. 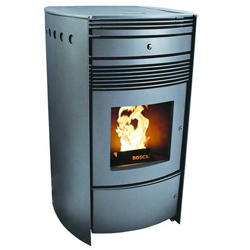 Efficient – Wood pellet stoves are becoming more and more energy efficient. Some of the more advanced ones have an efficiency rate of up to 95%, which is better than any alternative fuel burning heater. Suitable for those living ‘off the grid’ – Pellet stoves and pellet burners are a suitable choice for those who are living off the national grid. Although most pellet stoves use electricity to power a fan on the stove, some people can choose to use pellets in a burner that does not require electricity. Simple to use – If you have ever used another form of heater, you will find that it is easy to make the switch from your old heater to a pellet stove. There is not a lot of their operation, so even if you don’t have the instruction manual for the pellet stove, you will find that you will be able to operate it with no problem. Controllable – Pellet stoves are completely controllable thanks to heat settings and fan speed settings. Turning the heat down means that you will be able to use the pellets more slowly and turning the fan down will enable you to enjoy a more comfortable heat. If you are sitting in the same room as the pellet stove, you will be able to turn down the temperature so that the air is more pleasant. When you are looking for the best pellet stove for your home, you should ensure that it is the right size not only to fit into your home but that it will heat the space properly. 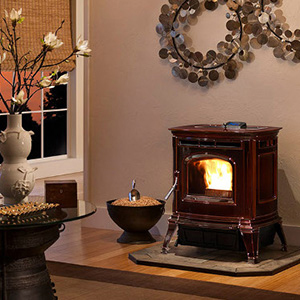 A pellet stove will normally give you a rating based on the stove’s ability to heat your home. This heat output value will let you know how well the stove can heat your room or home. You should expect a pellet stove to have a BTU output rating of around 40,000 to 50,000 BTU but this may vary slightly. Most pellet stoves are also around 75% to 90% efficient. The purpose of the stove – Do you want to heat a room or do you want the stove to be capable of generating enough heat for a small home? The position of the stove – If you want to get the best possible results from the stove, you should ensure that it is positioned in a good location in your room. If it is in a corner that is obstructed by an unusual room layout, for example, the heat is unlikely to circulate very well around the rest of the room and your home. Your preferences – Your idea of a comfortable amount of warmth may be very different to someone else’s. If you like to be very warm when you are relaxing at home, then you probably won’t mind a pellet stove that warms the room quickly, but if you don’t like too much heat, then you should choose one that has variable temperature control. Before you buy your pellet stove, you should make sure that you’d be able to get hold of the fuel that you’ll need to power it. Whilst pellets are easy enough to get hold of in most locations, you should check before you buy to ensure that you’re getting the best kind. There are usually several different kinds of pellets that you can choose from. Wood is usually the most popular kind of pellets. These come in premium and standard grade. You will find that the premium pellets are more expensive than the standard ones but they usually offer benefits such as longer burning time and better quality wood. You can also choose other kinds of pellets including corn or coconut shell. It depends on the stock in your area and what is available to you, but the kinds of pellets that you will be able to purchase will affect the kind of stove that you’ll need as well as the running costs. It is a sensible idea to find a supplier that can guarantee a price before you commit to purchasing a pellet stove. You should also bear in mind the weight of the bag of pellets. The stove that you buy will have a hopper that has a certain capacity. Once you have opened a bag of pellets, it is a good idea to put them all in the hopper so that the pellets do not become damp or get knocked over. The size of the bags that you buy will depend on the size of the hopper that your stove comes with. Pellet stoves are not as simple as they look. Rather than simply being a fuel burner, these appliances have plenty of moving parts and as a result, there is a lot that could potentially go wrong. In order to ensure that your pellet stove lasts for as long as possible, you’ll need to ensure that you can keep up with maintenance. When you’re looking for a pellet stove, you should take note of the method for cleaning the appliance. Most of them come with a convenient ash pan that can be simply tipped out or vacuumed daily or weekly and this will ensure that the waste ashes don’t clog up the heater. You can also purchase stoves that have self-cleaning glass. Glass that becomes clouded with carbon can be difficult to clean, so if the pellet stove has glass that will remain clean, this will cut down on the amount of cleaning that you will have to do. You should ensure that you could purchase parts for the pellet stove once you have purchased it. If something goes wrong and you can’t get hold of the necessary part, you will end up needing to replace the entire stove, which is a costly process. To keep the pellet stove in good working order, you should get it serviced regularly by a professional. If it is an option, you could even choose to subscribe to a servicing and repair plan. To get the pellets into the feeding chute and the burner, all pellet stoves come with an integrated hopper. This is a chamber that needs to be loaded with pellets before you start the stove up. The hopper can be positioned at the top or the bottom of the stove and there are pros and cons to both of these feeding methods. A hopper at the top of the pellet stove will be able to offer a lower chance of fire from the burn area spreading into the hopper, but you will need to use premium grade pellets to prevent the chute from becoming clogged up with ash. It can be safer for the hopper to be at the top of you have children as it is more difficult to open the hopper if it is on top. If you choose a pellet stove that has a hopper that is located at the bottom of the stove, you will be able to load the pellets more easily. You will also be able to use a lower grade of pellets as the ash is pushed directly into the ash pan and won’t end up in the chute. Bottom position hoppers are not as efficient however as top feeding ones so you may find that bags of pellets don’t last you as long. There is a vast choice of styles and finishes when it comes to choosing your stove, so you are bound to find something that will fit in well with the existing look of your home. From freestanding pellet stoves to fireplace inserts, you’ll find plenty of different designs too so that you can purchase the pellet stove that will fulfill the purpose that you require. You should look for stoves that have extra large viewing windows if you really want to have a lively flame in your home as many pellet stoves only have a smaller flame that may not make as big an impression as you might like. Make sure that you are purchasing a stove that is made from high-quality materials so that your new heater can last for as long as possible. Cost – A wood stove will cost you around $3,000 – $4,000 including a professional installation for a lower end model. If you want a premium model of wood stove, it could end up costing more like $5,000. The cost of installation may be considerably reduced if you already have a chimney, but you may need to have some work done to ensure that it will provide safe and adequate ventilation. Pellet stoves, on the other hand, will cost around $1,500 – $3.000 and once it is installed, it may end up costing up to $4,000. Pellet stoves can be more costly to run, however, especially if you have a supply of firewood for free that is readily available. Power – When you buy a wood stove, you won’t need to worry about any other power or fuel apart from the wood that it needs to generate heat. When you choose a pellet stove, you will need to ensure that it is close to an electric socket so that the stove can have power for the auger and the blower. Emissions – When you choose a modern wood burning stove, it will have been made to strict regulations. It will also need to be ventilated carefully to avoid emitting harmful gasses into your home. Pellet stoves emit virtually no smoke in comparison to wood-burning stoves and this means that they are far better for the environment. They are also safer to use in your home. Safety – As wood stoves are open and burn wood with a large flame, they can often send out sparks and if these come into contact with your carpet, for example, it could potentially start a fire in your home. Pellet stoves, on the other hand, have a viewing screen that allows you to see the flames, but there is no risk of sparks being sent out into the room, making them safer than wood stoves. Check out the top-rated wood burning stoves here! Do You Need Electricity to Run a Pellet Stove? When you are looking at pellet stoves for the first time, you may be fooled into thinking that they run on wood pellets alone, but this is simply not the case. In actual fact, there are a few essential parts of pellet stoves that require electricity to operate. First of all, there is something called a hopper. The hopper is where you place the pellets ready for them to be burned in the stove. In order to move them to the combustion chamber, it is necessary to power the spiral delivery chute, so this requires a small amount of electricity. In addition, the pellet stove needs some way of distributing the heat around your home. For this, there will be a fan integrated into the pellet stove. Some fans have multiple speed settings so that you can alter the heat output for comfort. In order to power the fan, a little electricity is required. When you first hear that a pellet stove requires electricity to operate, this may seem a little off-putting since electric heaters are very costly to run. What you need to remember is that electric space heaters are powered completely by electricity and require upwards of 1.5KW of power to create any kind of warmth in your room. With a pellet stove, the actual heat is generated by the pellets, so far less electricity is required. Instead, you can expect the pellet stove to use around 2 or 3 watts of electricity to power the moving parts. You should never leave children or pets alone around pellet stoves when they are on. Be especially careful of the glass at the front of the stove as this can become very hot when the stove is turned on. If there are younger children in your home, or if you have pets that enjoy relaxing near the stove, it would be a good idea to use a guard around the stove. To be alerted if there are dangerous levels of carbon monoxide in your home as a result of poor ventilation, you should consider installing a carbon monoxide detector. Ensure that you dispose of ashes in a container so that there is no chance that they could cause a fire. You should ideally use a metal container that has a lid. Keep the ashes away from any other household waste. The container should not be stored in the home. Your stove should be serviced once a year. This will ensure that it remains functioning properly and the professional will be able to check your ventilation and other safety aspects. You should also be careful to check the areas that you can see for any buildups of ash. Pay special attention to any air holes in the stove that may have become clogged. Read the instructions that come with your pellet stove. Although pellet stoves work in similar ways to one another, no two models are the same, so you should always follow the instructions from the manufacturer. To ensure that you are as safe as possible when you are using your pellet stove, you should only use the recommended pellets. The instruction manual will specify the type of pellet that you should use. If you use an alternative pellet to the one that is recommended, you could find that this results in reduced efficiency and more smoke. The burn pot is the area where the pellets are burned and the heat is produced. It is common for the air inlets to become clogged with ash during the burning process, so it is important that you check the inlets frequently to ensure that they are not blocked. You should also clean out the burn pot from time to time to keep your pellet stove working as cleanly and effectively as possible. The ash drawer is where the ashes settle after the pellets have been burned. It is usually easy to remove the ash pan or drawer so that you can clean it out frequently. You should try to remember to empty the ash drawer before you start the stove. It is dangerous to try to clean out the drawer when the stove has just been on as the ashes will still be hot, so always give the ash time to cool down. With some of the newer pellet stoves, you won’t need to empty the ash drawer more than once a fortnight or month so you should check the user manual for information about this. Right beside the burn chamber is the heat exchanger. This part transfers the heat from the burner and allows it to escape as clean hot air. A number of tubes are usually interconnected to enable this process so that the hot air can pass through, depositing any unwanted particles in the tubes. This process can lead to a build-up of ash in the tubes, so it’s important that you clean out the tubes regularly to ensure that the hot air that comes out of the stove is as clean as possible. How often you will need to clean the heat exchanger tubes will vary from stove to stove, so again, it is a good idea to check your instruction manual to find out how frequently it is recommended that you do this. You should try to purchase a stove that comes with an air wash viewing screen. This will ensure that it is as easy to clean as possible. If you do have an air wash viewing screen, all you will need to do is use a simple glass cleaner. If you have a screen that is made from standard glass, then you should probably clean this more frequently, as keeping the glass cleaner will be considerably harder in comparison. Although it shouldn’t need to be cleaned out too often, you should check the hopper as frequently as you remember for any sawdust. This loose sawdust flakes off the pellets and collects at the bottom and it is known as fines. You should allow the supply of pellets to the hopper and the auger to fully deplete from time to time as this will help to burn out any fines from the auger itself. This will prevent too many fines from building up, which can eventually lead to blockages, which can be difficult to clear as well as causing damage to the parts. With a great range of styles and design, you’re bound to find the best pellet stove for your home. You should ensure that you consider all of the areas that we have highlighted in this buying guide so that you have the best chance of choosing an appliance that will last for a long time. Whether you want comfortable heat or if you want a stove that will be powerful enough to heat your entire home, you are certain to have seen some great suggestions amongst our pellet stove reviews. Although this is not an extensive list of the options that are available to you, it is a good start with some ideas of what kinds of stoves are available on the market. Be sure to check the efficiency rating and power output of the pellet stove that you are going to buy so that you know if it will be suitable for your home. I am refinishing a home that had a gas fireplace. Can I have the contractor cap off the gas or something and put a wood stove to vent out the chimney? I did not see any insert type of wood stove here.